Legendary Celestion Vintage 30 speakers in a high-quality, roady-ready 2x12 cab. 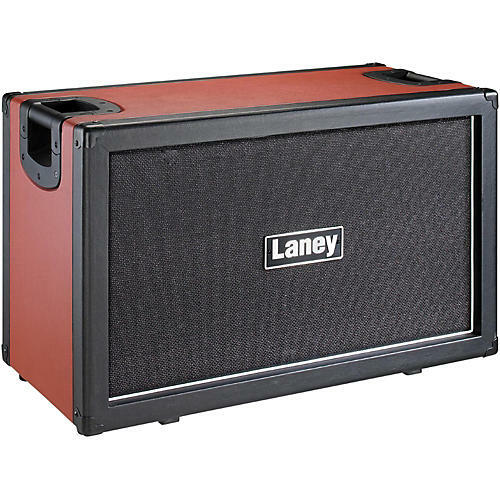 The Laney GS212VR is a Celestion Vintage 30-loaded 2x12 closed-back cabinet. The unique interaction between a tube amplifier and its loudspeaker is how tone comes to life. Laney has selected the legendary Celestion Vintage 30 to load into its top-of-the-line cabinet range. Twin Celestion Vintage 30s deliver complex overtones, low-end warmth, rich mid-range and beautifully detailed top-end. The GS212VR is built from quality plywood with lightweight yet rugged construction. A base-mounted tilt stand gets the sound off the floor and up to your ears. The GS212VR features mono or stereo connection options handling 120 watts in mono mode or 2 x 60 watts in stereo. The GS212VR comes with slip cover included to protect your cabinet for years to come. Dimensions: 17.9 in. x 29.7 in. x 13.97 in.